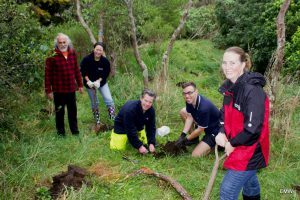 We are sad to report that since late April about 20 trees have been damaged on the Roy Clements Treeway behind Mt Albert Grammar School. 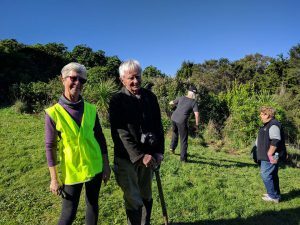 It started with cabbage trees and now includes manuka, mahoe and others, especially those between Lyon Ave and Alberton Ave. This is disturbing since the community has spent many hours planting these trees on this widely used boardwalk. Please contact STEPS: contact@meolacreek.org.nz Thanks – your help is appreciated. wetland, flood plain, rock forest and totara forest…a fantastic morning with a great sense of community. The water level in the wetland is the highest we can recall so we needed to plant in the shallower areas. 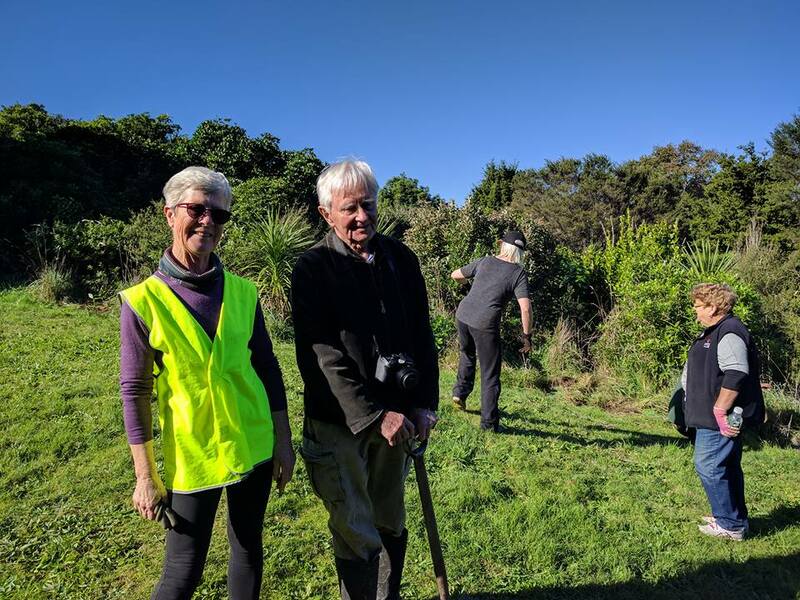 Freddie singlehandedly planted a future manuka forest; Dennis & Trevor had worked with Sel to prepare some holes at the back of the rock forest in some of the more rocky areas. Thank you to Sarah and AELB for the plants; also Geoff Davidson of Oratia and Rachel of Plantman. Thanks to Mac for the photo. Special thanks to all volunteers for their time and contribution.